Professional Issues in Clinical Psychology: Developing a Professional Identity through Training and Beyond offers insights from a range of trainee, recently qualified and experienced clinical psychologists as they reflect on the process of developing their professional identity through consideration of dilemmas and issues they experienced through clinical psychology training. Reflecting the breadth of the profession and the range of services in which clinical psychologists work, the chapters highlight the different types of roles that clinical psychologists are expected to undertake throughout training and post-qualification. The book provides practical clinical recommendations that can be applied in work settings in line with contemporary research, policy and guidance, as well as personal reflections from the authors on how managing professional issues has shaped their practice as a developing clinical psychologist. Developing a professional identity as a clinical psychologist is vital in learning to navigate these challenges. The process by which a professional identity develops is an individual journey. However, Professional Issues in Clinical Psychology offers aspiring, trainee or qualified clinical psychologists - and other healthcare professionals - with a contemporary resource around professional issues which might be encountered within clinical psychology practice. Part One: Challenges in learning to deliver psychological therapy through clinical psychology training. Part Two: Understanding the broader role of clinical psychology; Professional issues across areas of practice. 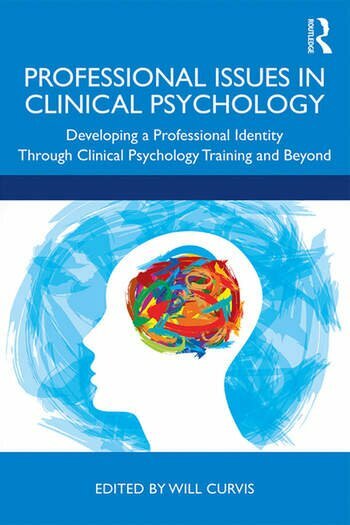 Part Three: Developing a professional identity as a clinical psychologist; Integrating the personal and professional. Will Curvis is a clinical psychologist in the NHS, working mainly in acute inpatient physical health and neuropsychology services with people with long-term physical health problems, pain problems or neurological conditions. He also works as a clinical tutor for the Doctorate in Clinical Psychology programme at Lancaster University.